Baedeker's guides had a very consistent layout, which makes them easy to work with and find what you are looking for. Before the book proper starts, the front endpapers (or just the "pastedown", that is, the page glued to the inside of the front cover) contain a listing of Baedeker editions in print at the time of publication, sometimes with prices. One area of interest for Baedeker collectors is the various cancels, or replacement publication lists sometimes laid or pasted in. This appears to occur particularly with editions of Canada, which frequently appear with different bookdealers' listings. Sometimes there follows, just before the title page, a large folding map of the area. 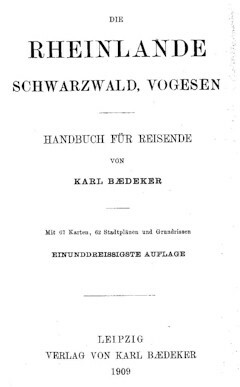 Then the title page shows the full title of the book and invariably (except for the first few editions of "Rheinreise") Karl Baedeker as the author, even long after his death in 1859 - such was the goodwill attached to his name. 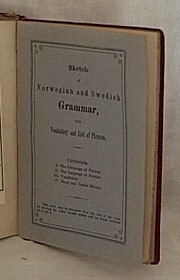 The number of maps and plans, and the edition number (except in first editions), are indicated and at the bottom, the place and year of publication. The place is Koblenz (Coblenz in the German editions, Coblence in French and English editions) until 1872. In 1873, the place is shown as Koblenz and Leipzig, and thereafter, the place of publication is Leipzig. Until 1907, the spelling used in the English editions is Leipsic, but after that, the normal German spelling is used. Next is a table of contents, and then a number of introductory pages, giving general travel information about the country, such as customs regulations, how much to tip in restaurants, what the weather is like at different times of the year, what clothes to pack, how much you should expect to spend and how to plan the trip generally. In addition, there can also be some quite specific information, such as a history of the art in the area, or even tables on how to recognise and understand hieroglyphics - in the guides to Egypt. The introductory pages are always numbered using the Roman numbering system. 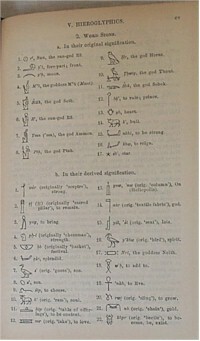 Some editions of Egypt have 200 introductory pages or more, but for the most part there are between 30 and 60 of these. The main content of the book is (usually) divided into Routes, that is, stretches of road or railway from one major centre to another, listing towns and other places of interest along the way. The biggest edition is the 1872 edition of Deutschland und �sterreich, with 961 pages, while the smallest is Weimar und Jena, with a mere 41 pages. There are usually not many illustrations in the text itself - normally, these are on separate pages. However, some editions do have in-text illustrations, which are then often referred to as "vignettes". In particular, the Egypt editions tend to have these. One of the major attractions of these books is the generous sprinkling of detailed and beautifully produced maps, plans and (in some editions) panoramas. The maps are overviews of larger parts of a country, while plans are either town plans or floor plans of museums, palaces and the like. Panoramas tend to be either from a mountain top with a spectacular view, or of a city. These can sometimes be very wide indeed, as can be seen from the above picture. At the end of the book sometimes certain types of appendices can be found. In editions issued in 1920 and 1921, there were advertising supplements (usually, these editions appear in variants with or without advertising). There may also be special supplements for large exhibitions, though these were often just added loose, rather than bound in, which means they have mostly been lost. But most interesting are the bound-in little booklets containing either a city street index and detailed plans (in editions of London, Paris, Berlin and Rome) or a vocabulary (in the editions on Scandinavia). These were made to be easily separated from the main book, and unfortunately sometimes were. The final endpapers often have a railway map over the area covered by the book. Before them may appear another large overview map. In some late editions, there can be a map pocket at the back, containing a large, loose map. You will be lucky to find such a map still present.